This entry was posted on September 11, 2009, 8:52 am and is filed under freakomendation, fun, recommendation. You can follow any responses to this entry through RSS 2.0. Both comments and pings are currently closed. Love Freakommendations and this one is great. Nice! I like how the bat only has a two star rating. 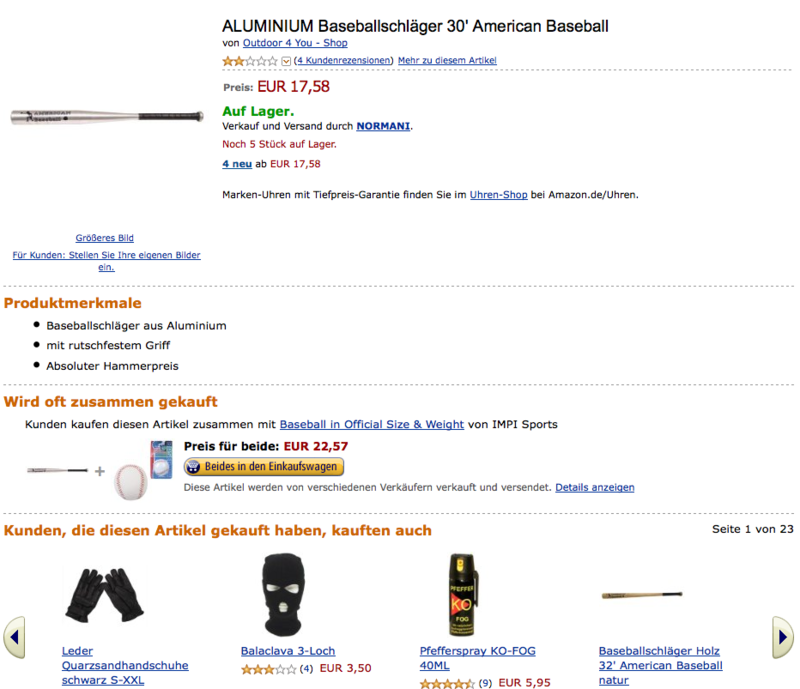 For those of you who don’t get it, look at the “people who looked at this item also looked at:” section to see gloves and a facemask :P.
I Shall Purchase a Baseball Bat…….